Howard L. Poe, Sr. (Buddy) worked in the swimming pool industry for 19 years prior to founding Buddy’s Pool Service, Inc. During the majority of that time he served as the service manager for Ira C. Rigger, Inc. which had two major divisions, construction of commercial buildings and swimming pool construction. As Rigger’s business declined they decided to focus his attention solely on commercial construction and in 1979 Rigger exited the swimming pool industry completely. Buddy decided his passion was for swimming pools, not commercial buildings, so in August 1979 – he and his wife Loretta Poe started their own pool company operating from the basement of their home on Radcliffe Road in Towson. A business phone line was added and Loretta set up an office to manage the bookkeeping. A secretary working with Rigger provided Buddy with a book that had a list of customers’ names. Buddy, Loretta and close friends gathered around a table to make some critical decisions and to compose a letter that would be sent to Rigger’s former customers. One of those key decisions was to determine the name of the new company. It was determined “Buddy” would be used in the name due to the fact that many of Rigger’s former customers knew Howard L. Poe, Sr. as just “Buddy”. The company was incorporated as “Buddy’s Pool Service, Inc.” (Buddy’s) and a letter was sent to the customers on the list informing them that Buddy had opened his own business and asking them for their support by allowing Buddy’s to begin servicing their pools. With the support of close friends and contacts within the industry, Buddy’s purchased a truck from a friend and was able to establish lines of credit to get the business started. Two of the major suppliers at that time were Biolab (Bioguard) and Baltimore Pool Supply. Buddy’s has been a leading BioGuard Dealer in the Baltimore area since day one. In the beginning, the complete service operation consisted of Buddy, one truck, and Bobby Barron, Sr., a former co-worker at Rigger. During the first few years the company focused exclusively on service, no building of pools was performed at that time. As the business grew, Buddy & Loretta decided they needed more space and wanted to provide a true retail location for their customers. During the winter of 1981-1982 the business moved out of their basement and into a storefront on Marble Court in Cockeysville. The new store featured an Amish Country hot tub built into the floor, complete with a deck surround. The interior of the building consisted of three small rooms for office and storage with limited retail space. Loretta worked the counter and performed water testing for the customers. The testing at that time was not computerized and required the use of complex formulas in order to make accurate recommendations to properly balance the pools. In 1984 Buddy and Loretta’s son, Buddy Jr., finished his term of service in the US Military and began working for Buddy’s in a full time capacity. A year later, Buddy Jr.’s wife, Trish Poe, was hired to assist in the retail store as well. During that time the retail traffic increased and the number of service crews grew as well. By the fall of 1987 it was time to find a new location that would allow for future expansion and during that winter Buddy’s moved into a building on York Road in Cockeysville that was formerly occupied by a golf shop. Large glass windows were added to the front of the building to provide a better retail experience for customers and the back of the building was used for the service operations. As demand for new swimming pools grew and experienced service crews were well established, Buddy decided it was time to think about a new venture. In the fall of 1989, Buddy formed a new company that would focus exclusively on new pool construction with his former boss from Rigger, John McDade. 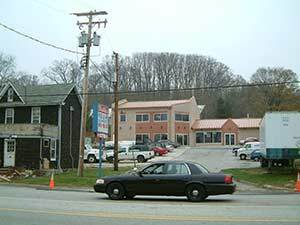 This new company was called B&J Pool Construction and operated out of the York Road store. Buddy was listed as Vice President and John McDade, as President, handled the sales and day to day operations for the new pool construction. In 1992 Buddy’s was one of the first dealers in the country to pioneer Bioguard’s new computerized water analysis program – ALEX. This system virtually eliminated the complex manual calculations for water testing and helped provide more accurate storage of water test results. This revolutionary professional water testing system helped propel the retail business for the next two decades for both Buddy’s and Bioguard. 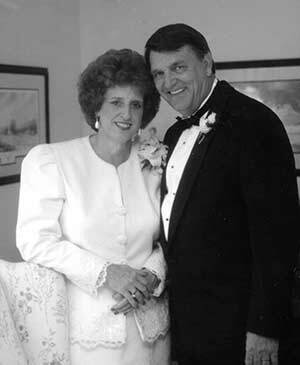 In October of 1993 Buddy and Loretta’s daughter, Karen, married Terry Brown who came to work for Buddy’s in February of 1994. The expansion of the business continued during this time and B& J Pool Construction disbanded and new pool construction became a division of Buddy’s Pool Service, Inc. This led to a clear focus on three primary areas within the company – service, retail and construction. The service department increased the focus on the weekly pool maintenance segment and the term “Poolmaid™” was established. In retail the ALEX water test software became part of a larger computer network that included accounting records, inventory control, and a barcode point of sale system. For construction, renovation work began to increase due in part to the aging of the pools now being serviced by Buddy’s. As a way to improve customer service, Buddy’s reached out to each of the major manufacturers to become their local warranty service center. This step allowed Buddy’s to provide hassle free repairs to customers while adding peace of mind with each major purchase. Brenda Bosley was hired to assist with warranty claims processing and inventory control. To complement the Amish Country line of spas, Buddy’s picked up a new line of hot tubs in 1997 called Softub Spas. This soft sided spa plugged into a standard wall outlet and for several years provided an affordable alternative to conventional spas. Then came word that one of the world’s largest and most respected manufacturers of portal hot tubs, Watkins Manufacturing, purchased a new company called Caldera Spas. 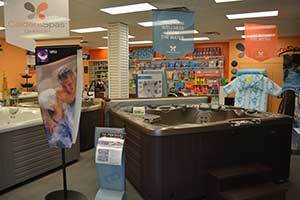 Buddy’s contacted Watkins Manufacturing immediately about becoming a dealer for Caldera Spas and within one year became the local dealer for the Baltimore area. At that same time, plans were already in the works to expand the retail store and add additional office space. Both Caldera and Bioguard assisted with the design of the retail space which included provisions for improved displays and the ability to increase the number of hot tubs on display. 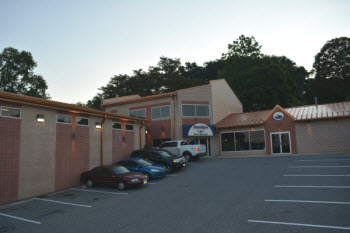 By 2001 the new addition and retail space was complete. Mark Weldy was hired to ensure the weekly Poolmaid customers had a primary contact to assist with their needs as the construction, retail and spa business expanded. During this period, the service and construction departments operated out of an older house on the property next store which served as a morning meeting place for the guys to meet to pick up their assignments and supplies for the day. The swimming pool industry was experiencing a great deal of innovation with automatic pool controls, robotic cleaners, custom water features and energy efficient products. These new products required a greater degree of training for all employees in order to keep up with the increasing complexity of new pools. By 2004 it became apparent that additional warehouse space would be needed to support the new business model. The old house had to be torn down and a second addition was added to the building to house the materials and supplies for all segments of the business. In 2008 a new federal law was implemented to improve drain cover safety and the business focus shifted quickly from expansion to contraction when the financial crisis hit Wall Street. Within one year new pool construction fell nearly 70% nationwide and many companies in the industry began closing their doors. To compound matters, many companies were offloading slow moving and old inventory via the internet at or below dealer cost and not providing support to consumers. Thanks to our loyal retail and service customer base, Buddy’s was able to successfully adapt to the changing marketplace. In 2011 Bobby Barron Sr., Buddy’s first hire, retired after 31 years of excellent service. Also that year, Karen Brown, Buddy and Loretta’s daughter, put her nursing career on hold and joined the company to assist with training, marketing and other administrative functions. Billy Bosley has also been a fixture at Buddy’s for over 30 years. Serving as a lead service technician for many years, Billy has tried to retire multiple times, but enjoys returning each season to repair pool cleaners, motors and help as needed. Throughout the years Buddy’s has employed many great people from family and friends, to customers and high school students. As of today, Buddy’s runs multiple service, construction and renovations crews. The retail store has expanded and includes a greater selection of products, chemicals, parts, spas, toys and more. Excellent customer service continues to be the driving force behind the success of the business. Buddy and Loretta continue to be active in the day- to-day operations of the business. Buddy is primarily involved with new pool construction and Loretta continues to manage the financials for the business. They have a true passion for the pool industry, but even more so for the many wonderful relationships that have developed over the years with customers, suppliers and employees.